On Thursday, the Food & Drug Administration (FDA) took the long-expected action of invoking its authority to regulate cigars and other types of tobacco. We’ll be exploring why the action would be disastrous for handmade cigars in he coming days and weeks, but first it’s important to get an understanding of what exactly has been proposed. In 2009, Congress passed, and President Obama signed, the Tobacco Control Act, which directed the FDA to regulate cigarettes, as well as cigarette tobacco, roll-your-own tobacco, and smokeless tobacco. Under current regulations, all new cigarettes require FDA approval before they can be sold, and flavored cigarettes (with the exception of menthol) are banned for sale in the U.S. The bill also authorized the FDA to regulate other types of tobacco (including cigars), but leaves it up to the agency through its rule-making mechanisms to decide if it will regulate tobacco other than cigarettes and, if so, what form that regulation will take. In order to assert its authority to regulate cigars, the FDA must go through a federal rule-making process. (1) Enforcement action against products determined to be adulterated and misbranded; (2) required submission of ingredient listing and reporting of harmful and potentially harmful constituents (HPHCs) for all tobacco products; (3) required registration and product listing for all tobacco products; (4) prohibition against the use of modified risk descriptors (e.g., “light,” “low,” and “mild” descriptors) and claims unless FDA issues an order permitting their use; (5) prohibition on the distribution of free samples (same as for cigarettes); and (6) pre-market review requirements. Some of these would cause significant disruption in the way new cigars are brought to market with costs of compliance ultimately passed on to consumers. While each of the six actions would cause some upheaval, experts seem to agree the requirement for FDA approval of new products would completely change the way the handmade cigar world works. When finalized, the law would require every new tobacco product, including cigars, introduced after February 15, 2007, to be approved by the FDA. Products currently on the market but introduced after that date could be sold while the FDA rules on approval. The FDA approval process has two methods to approve new products (which includes changes to existing products). Completely new products would require extreme amounts of scientific data and research, which would effectively stop new products from coming to market. The other route to approval is by proving that a new product is substantially equivalent to a product either introduced prior to February 15, 2007, or approved by the FDA since. “Substantial equivalence” sounds like a process that should be relatively easy for approving new cigars—after all new cigars are generally just new blends of same types of tobacco that are already used in existing cigars—but the FDA approval process for cigarettes has demonstrated that it is anything but easy or quick. In fact, it’s effectively impossible. To date, the agency has only ruled on 34 products (approving 17 and rejecting 17) of the roughly 4,000 pending applications. 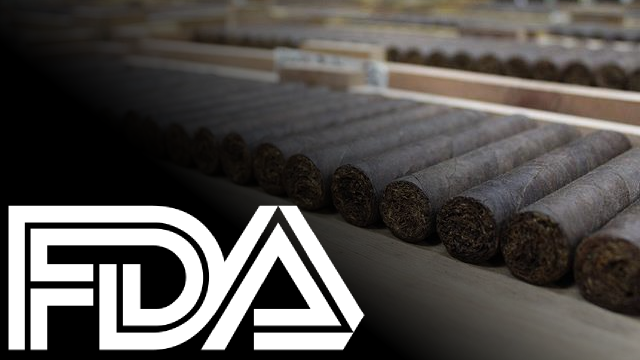 With hundreds of new cigars coming out every year (many thousands if each size is considered a new product) there is little reason to think the FDA approval process would do anything but effectively halt the introduction of new cigars. The 150 or so FDA employees tasked with approvals have only managed to respond to fewer than 1 in 100 applications since 2009, and there is no extra budget for dealing with the increased applications that would come from this rule. (1) Is wrapped in whole tobacco leaf; (2) contains a 100 percent leaf tobacco binder; (3) contains primarily long-filler tobacco; (4) is made by combining manually the wrapper, filler, and binder; (5) has no filter, tip, or non-tobacco mouthpiece and is capped by hand; (6) has a retail price (after any discounts or coupons) of no less than $10 per cigar (adjusted, as necessary, every 2 years, effective July 1st, to account for any increases in the price of tobacco products since the last price adjustment); (7) does not have a characterizing flavor other than tobacco; and (8) weighs more than 6 pounds per 1,000 units. Item 8 (“6 pounds per thousand”) is identical to a provision in the industry-supported legislation (and would effectively mean that a cigar four inches with a 38 ring gauge would definitely meet that criteria). Criteria 1-5 differ slightly from the legislation, which is designed to protect American jobs in the cigar industry (which allows for U.S.-made cigars to use homogenized binders as long as the wrapper is applied by hand). Number 7, the prohibition on “characterizing flavor other than tobacco” raises significant issues. Not only would an infused cigar presumably not meet the exemption even if there is no scientific reason for excluding them, but the FDA has thus far refused to say what the definition of “characterizing flavor” is, and wouldn’t even say if aging tobacco in cedar qualifies. Given traditional techniques like barrel-aging tobacco, using betunes with wine, and newer developments like using maple or hickory in the curing process, this would surely stifle innovation in the industry. By far the most threatening to the handmade cigar industry is item 6, which says for a cigar to meet the “Premium Cigar” exemption it must retail for $10 or more. The cigar industry has long taken the position that handmade traditional or premium cigars are about the production process, not about any arbitrary cost threshold, and there is no reason to believe that the health implications of a handmade $4 cigar are any different from a $10 one. Estimates vary about how much of the handmade cigar market would fail to meet the $10 retail price, but a survey produced by Gary Griffith of Emilio Cigars of 26 stores in four states with varying demographics and tobacco tax rates found that only around 15% of cigars sold were above that price, while 60% of cigars sold in the $6-9.99 range and the remainder sold for less than $6. As of now, these are the rules the FDA has proposed; they are not yet finalized. Currently, the FDA is accepting public comments on the proposals for 75 days ending July 9, after which it will consider the public comments and likely then issue a final rule. It will be critical that cigar smokers use the public comment period to make their voices heard, especially to advocate for an exemption for premium cigars that does not arbitrarily eliminate a significant percentage of cigars currently being sold based on a price. Otherwise, the innovation and creativity that makes the handmade cigar industry so great will come to a grinding halt. In the coming days and weeks, we’ll have more to say about this critically important issue, including suggested points to make when you file a public comment. So please check back often and consider signing up for our free email newsletter for critical updates and reminders. So basically, if this goes through there will never be another new cigar released that costs less than $10. Thanks FDA for looking out for the little guy! Right. The pricing threshold should be completely eliminated. A cigar is either handmade or it is not. 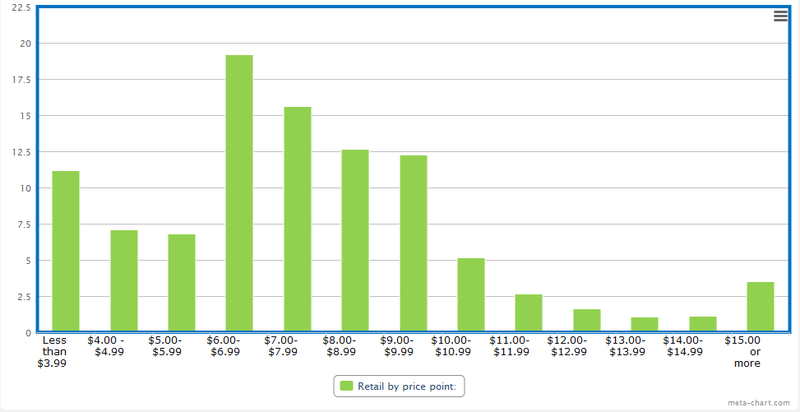 Pricing is irrelevant. That is the approach CRA, CAA & IPCPR have advocated for with the Traditional Cigar Manufacturing and Small Business Jobs Preservation Act, and one that has considerable bi-partisan support in Congress. The 2011 version had 220 co-sponsors in the House (168R, 52D) and 13 cosponsors (9R, 4D) in the Senate. The 2013 versions have 153 cosponsors (128R, 25D) and growing in the House, and 14 cosponsors (7D, 7R) in the Senate. One would hope, the FDA would look for a definition that clearly has the support of a significant number (if not a complete majority) of lawmakers rather than making up a definition that is not based in science or the reality of the marketplace. But then that assumes that the FDA wants to be reasonable with these regulations. I don't think the $10 exemption threshold stays, but even if it does, I think many cigar makers would prefer to sell greater numbers of regulated cigars at a lower MSRP than raise their prices to avoid regulation. Cheers to the Stogie Guys for the best analysis of this development I've seen to date! Thanks Anders. Much of this has been covered elsewhere, but I'm worried people are not paying enough attention to the FDA approval process and what it would mean for cigars that don't meet the "Premium Cigar" exemption. Effectively I don't think there is any difference between the approval process and an outright ban on new cigar blends, except that it's easier to explain and rally opposition to the ban. Wow the FDA can`t leave well enough alone. The timetable for issuing a final regulation is completely up in the air. The FDA could extend the comment period indefinitely. Or it could wait forever to make the next move. With the opposition in Congress to harming this small niche industry, and the face that FDA has its hands full with regular cigarettes, menthol and e-cigs, I do not think they will move very quickly to impose rules on handmade cigars. Also, unlike cigarettes, many handmade cigars are produced overseas for multiple countries. These regulations do not seem to take this into account. Everyone needs to make their voices heard, but I remain confident the final results will not be so drastic. The FDA must leave our cigars alone and let us enjoy without government intrusion or higher orice controls. I encourage you to contact your Senator and Congressman to know where uou stand on this issue and make sure it does not pass. Also leave comments on the FDA site as much as many times as you can. Thank You Stogie Guys for a great blog. Given the move to eliminate menthol for cigarette smokers, it wouldn't be unexpected to see the Antismokers push the FDA to eliminate any "attractive" flavorings that might encourage people to smoke cigars.